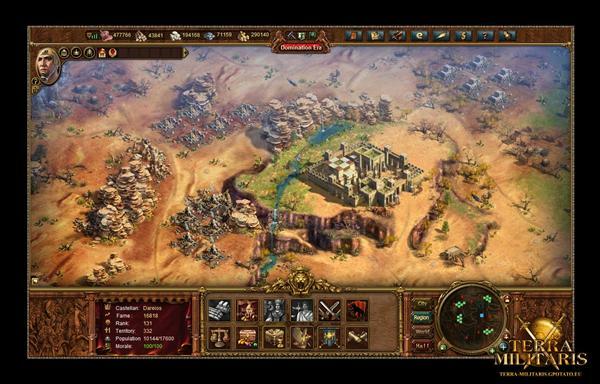 Terra Militaris is a real-time strategy browser game and requires no downloads. You have to build your city, equip your heroes, raise armies, trade, create alliances, expand your realm and dominate the world. Terra Militaris is a Browser MMORTS that allows you to build an empire by developing and upgrading your city, exploiting local resources to build larger armies. Once you’re strong enough, you can then venture further afield and start meeting up with other players, forming alliances and waging war on your neighbors for their treasure. 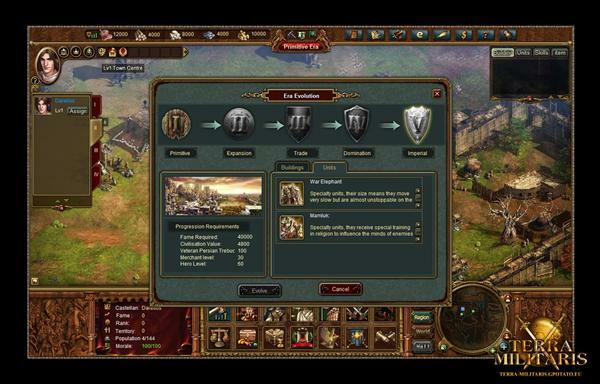 As well as managing resources and growing your empire, you can also upgrade your hero, equipping him with new armor and weapons and learning new skills to learn in battle. Fights take place on instanced battlefields and success relies on using your units special abilities well. 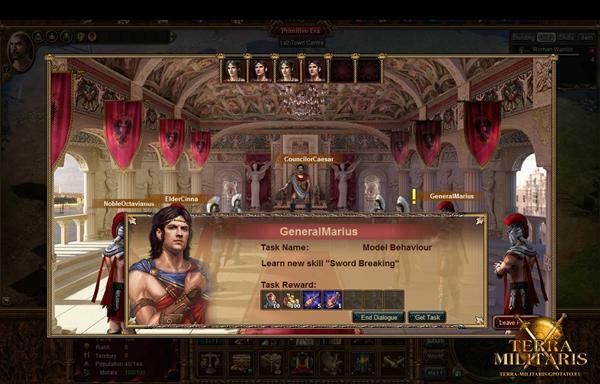 Heroes act as commanders in chief, offering unique buffs and abilities to the troops under their command. You control the heroes, and therefore, you control the tide of battle, making for a dynamic, real-time battle mechanic that is as addictive as it is engaging. 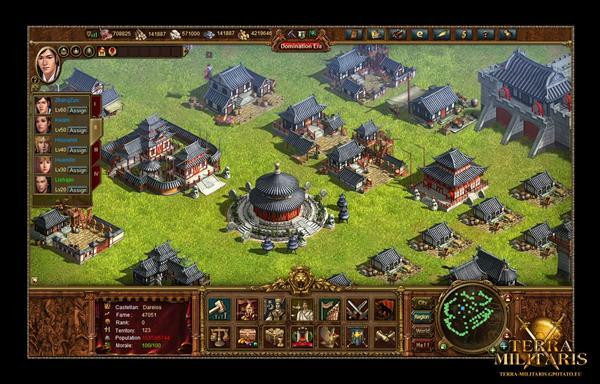 Combined then with a myriad of traditional MMORTS elements, such as unit and city upgrades, development, resource management and Player-vs-Player faction wars and you get a title that outshines its competition at every turn and warrants the attention of any player.